The retina is the light-sensitive layer of tissue that sends visual messages through the optic nerve to the brain. Retinal detachment describes an emergency situation in which this critical layer of tissue pulls away from the layer of blood vessels below it that provides it with oxygen and nourishment. It is a very serious eye condition and can cause blindness if it is not treated promptly. However, with rapid diagnosis and treatment, which is usually surgery, the prognosis may be very good for some types of retinal detachment. Most retinal detachments happen because a hole or tear in the retina allows fluid to leak between the retinal layers and this then causes the retina to detach. This is the most common type of RD. Certain eye conditions such as diabetic retinopathy can result in a fibrous scar tissue forming inside the vitreous gel and on the surface of the retina. This scar tissue can then pull between 2 points on the retina as they contract (traction) causing a detachment. This type of RD, fluid seeps out of the blood vessels in the retina into the space between the retina and the RPE. Retinal detachment most commonly happens to people aged between 50 and 70 years. It is very important to see your doctor if you have any of these symptoms mentioned above. If it is RD, the quicker it is treated, the better the outcome. It is also important to know that If RD is not treated promptly, it can lead to significant loss of vision or blindness. RD is diagnosed by a retinal specialist using a special lamp called indirect ophthalmoscope to look into the back of your eye. The specialist will need to put some drops in your eye to open wide (dilate) your pupil so they can see the retina properly. These drops will cause a temporary blurring of your vision which wears off over a few hours. There are usually no other tests required to diagnose RD unless the doctor cannot see into your eye properly. For example, if you have a clouding of the lens in your eye ( cataract) or associated bleeding within the eye (vitreous haemorrhage). In this case, an ultrasound B- scan of your eye may be done. There are several treatments for retinal detachment depending on the stage and severity of the condition. Scleral Buckling Surgery and Vitrectomy are still the mainstays of treatment. Pneumatic Retinopexy has increasingly gained favor for certain types of less severe or extensive detachments. 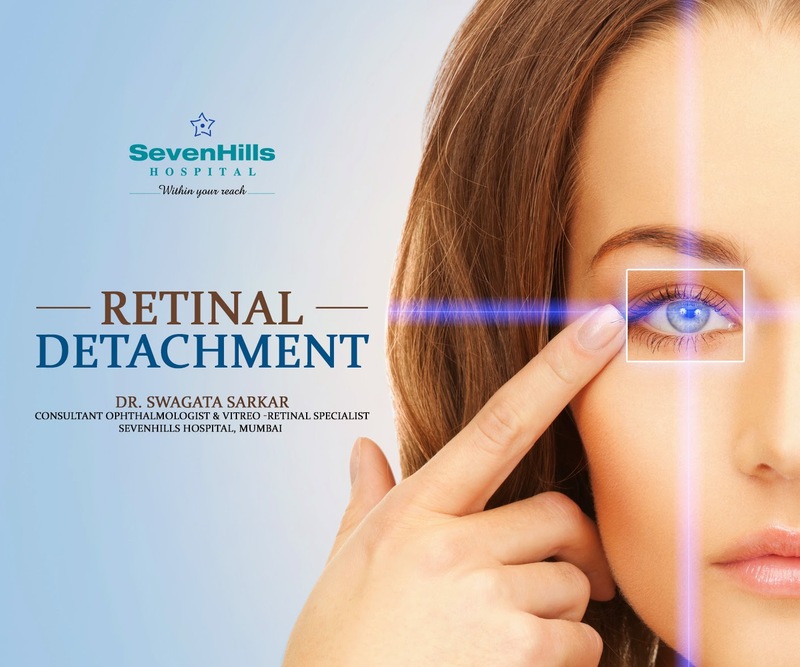 After your examination, Dr. Sarkar will determine the type of retinal detachment that you have and discuss which treatment options is best for your eye condition.